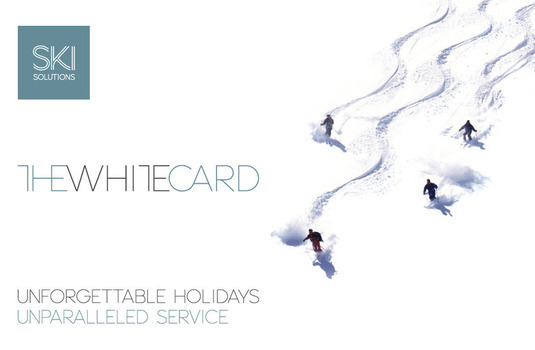 The exclusive White Card privilege programme is designed to reward you with some outstanding benefits to make your ski holiday even better with Ski Solutions. As a White Card member you’ll enjoy a variety of benefits and discounts from both Ski Solutions and our participating partners, ranging from fabulous free upgrades to exclusive ski kit discounts. Our retail partners are jumping on board too with exclusive White Card members’ events throughout the season. For example you’ll get to enjoy special ‘invitation only’ access to pre-sale evenings at selected Ellis Brigham and Surefoot stores around the country. Furthermore, a new season means new gear and what better way to take advantage of the latest developments in ski and snowboard kit than with a fabulous free upgrade on Ski Solutions ski hire. Whether you’re carving up the pistes or heading off towards knee deep powder, you’ll love the ride knowing you got exactly what you deserve – that little bit more. As for snow gear there’s a lot to be said for personal style. Whether you’re into retro cargos or a pair of perfectly tailored ski pants, you’ll be delighted with the exclusive White Card discounts on offer at our partner high street snow sports retail stores. One of the greatest benefits of being a White Card member is the dedicated White Card Priority Reservation and After Sales lines. These services guarantee that each call made to the White Card Priority lines will be answered speedily and met by a friendly, knowledgeable ski holiday expert. Our ski holiday experts’ unparalleled knowledge and love of the mountains makes them the ideal guides to assisting with all your ski holiday needs. Whether you are looking for a family friendly hotel in the heart of the Alps or a luxurious ski-spa getaway in the Canadian Rockies, you’re sure to get the best advice from our team of self confessed ski junkies. Always in the know, first! They say that the early bird catches the worm! White Card members get the very best of Ski Solutions with priority access to a host of exclusive deals from world renowned ski resorts throughout Europe and North America. This means you will be the first to know about the latest ‘Kids Ski Free’ deals, free hotel room upgrades, ski hire specials and much, much more.